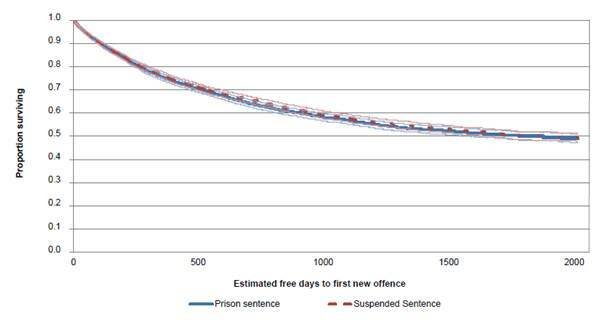 Does going to prison reduce the risk of reoffending when compared with a suspended sentence? › Blog Articles › Does going to prison reduce the risk of reoffending when compared with a suspended sentence? Does going to prison reduce the risk of reoffending when compared to offenders who receive a suspended sentence? 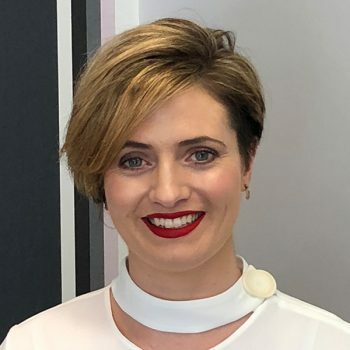 A study published by the NSW Bureau of Crime Statistics and Research (BOCSAR) has found that Offenders given a suspended sentence are less likely to re-offend than those given a prison sentence of up to 12 months in duration. 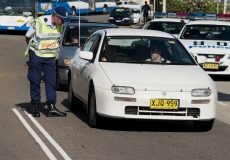 The Bureau compared 3,960 matched pairs of offenders. The first received a prison sentence of 12 months or less, while the second received a suspended sentence of two years or less. None of the offenders had previously been sentenced to prison. The graph below shows the proportion of offenders surviving (people who had not committed a new offence) against the time since they were sentenced. During the 36 month follow-up period, 42% of those receiving suspended sentences and 43% of those receiving custodial sentences were convicted of a new offence. 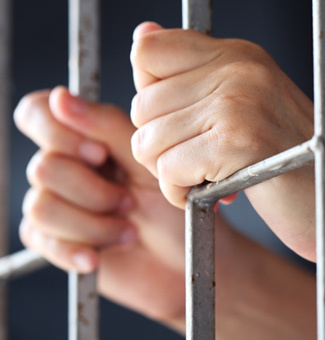 This study reinforces the findings of two previous studies in Australia released in 2009 and 2010 that found evidence that custodial penalties did not reduce the risk of re-offending. 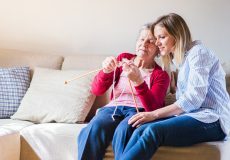 A study in the Netherlands in 2010 found that reoffending was significantly higher for people who went to prison and that the difference was still apparent after 8 years of comparison. Commenting on the findings, the director of the Bureau Dr Don Weatherburn said sentencing courts contemplating imposing a suspended sentence of up to two years instead of full-time custody of 12 months or less do not need to be concerned about the possibility that imposing a suspended sentence will put the public at greater risk. “Our findings are also important from a public policy perspective. It costs about 10 times more to keep an offender in prison for a day than to keep an offender on some form of community corrections order. The expenditure may well be justified in the case of offenders who are dangerous and or who are serving long (e.g. more than 12 month) sentences.